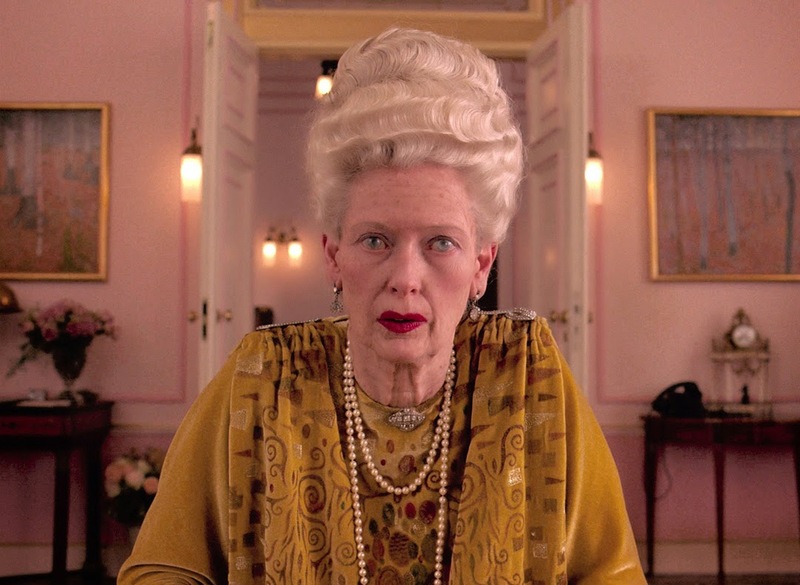 Fox Searchlight Pictures in association with Indian Paintbrush and Studio Babelsberg present, an American Empirical Picture, “The Grand Budapest Hotel,” directed and written by Wes Anderson and story by Anderson & Hugo Guinness. The film stars Ralph Fiennes, Tony Revolori,F. Murray Abraham, Mathieu Amalric, Adrien Brody, Willem Dafoe, Jeff Goldblum, Jude Law, Bill Murray, Edward Norton, Saoirse Ronan, Jason Schwartzman, Tilda Swinton, Tom Wilkinson and Owen Wilson. fictional spa town in the imaginary country of alpine Zubrowka, for which he created not only a complete visual aesthetic but also a cohesive 20th Century history mirroring Eastern Europe, with a fascist takeover in the thirties and a Communist period after that –but also a more distant past in the vein of the belle epoque. 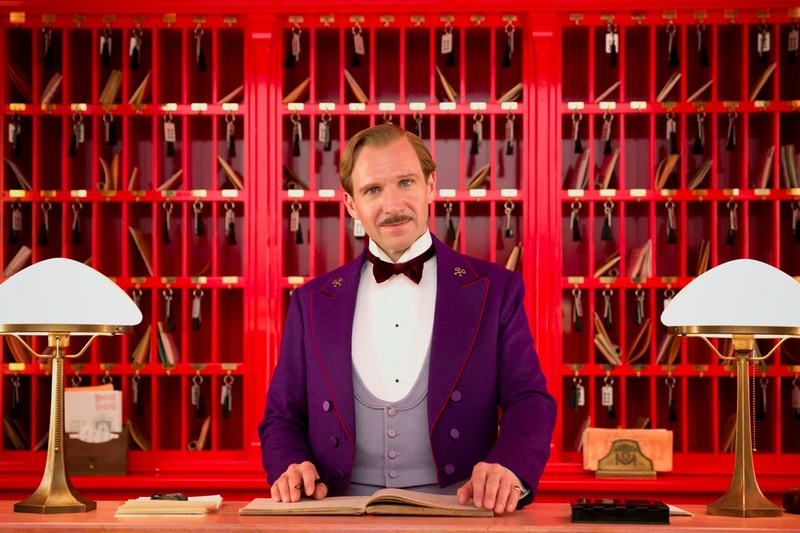 At the beginning of the movie, the Young Writer played by Jude Law finds himself in conversation with the enigmatic Mr. Moustafa, the hotel’s owner, who sets about relating the story of how he rose from the ranks of junior lobby boy to become the proprietor of the Grand Budapest under the tutelage of Gustave. Madame D.’s death sets in motion a scramble to lay claim to her vast fortune. Leading the charge is her son, Dmitri, the film’s ruthless and darkly comic main villain, played by Adrien Brody, who previously starred in “The Darjeeling LImited. : “He’s the bad seed, he’s the one who causes the trouble – and he was really wonderful in this role of Dmitri,” says Anderson. Playing Deputy Vilmos Kovacs, the attorney representing Madame D’s estate, is Jeff Goldblum, who previously worked with Anderson on “The Life Aquatic with Steve Zissou.” Goldblum highlights some of the cultural and political elements at work in the film:“Monsieur Gustave is a rare and spectacular light of hope and inspiration – courteous, generous and refined – in this world in which fascists are coming to power,” he says. 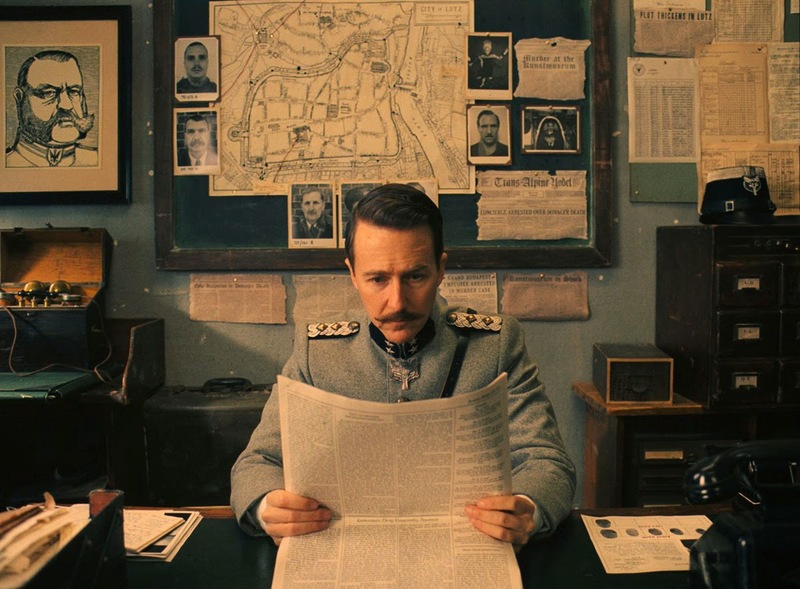 Indeed, Dmitri and his cohort are headed down a path toward fascism, and this is one of the elements that flesh out the antagonism between him and Monsieur Gustave. When the law does catch up with Gustave, he finds himself in the least imaginable of places for a man of his sensibilities: Check-point 19 Criminal Internment Camp, a dank, medieval-era prison, surrounded by barbed wire and a moat full of crocodiles. He soon befriends four fellow inmates and winds up at the center of an elaborate escape plot they’ve cooked up. The brains of the plot is Ludwig, an especially rough, tattooed convict with a bald head, played by Harvey Keitel, who also appeared in “Moonrise Kingdom,” and for whom Anderson wrote the part.